Disclaimer- this was served on a United flight (No one was hurt BTW). For an airplane wine- Dark and brooding in the glass. Barely a nose due to cabin air and plastic cup but I’m getting black currants, plum tart. At first I get plums, iodine and a dose of oak. The mid palate shows off the rather dry tannins that balance out the acidity. On the finish I sense mostly tannins, not much fruit. Overall, an enjoyable airplane wine to go with my pasta and meatball. 86 points from me and I was able to find it for $12 which make it a 2 star wine in my opinion. Salut…. Dark purple in the glass. A nose of black cherry, black currants and plum. A spice is there too, but I can’t pinpoint it. On the palate, very juicy with plum jam, blackberry tort and cassis. This is a very smooth wine that shows great fruit expression, silky tannins and a mild dose of acidity. The mid palate has dark plums and the tannins start to dry the gums. On the finish, another dose of plum and the final lashing of tannins with a taste of oak. 91 points is what I came up with but others only went 88. For $13, you cannot go wrong with this 5 star wine. Salut…. Consistency is a very desirable trait in winemaking. It gives me confidence in a winery and assures that I will be back for more, year in, year out. Trivento is one of the best at this. 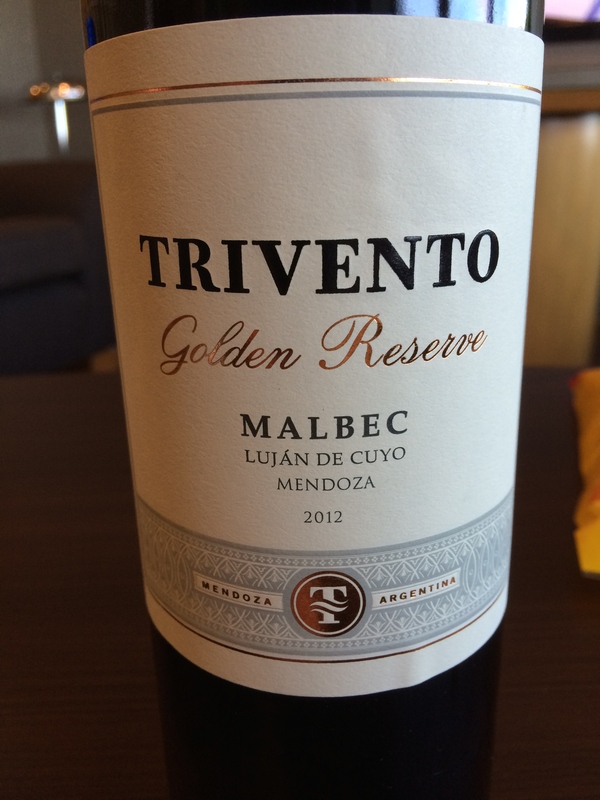 I have tasted several vintages of the Golden Reserve Malbec and love it every year. The 2012 is drinking well now. It started off with a dark purple hue in the glass. A blossoming nose of plums and a hint of nutmeg welcomed me to taste the wine. Blueberry compote came across on the initial palate and was followed up with more plums and a slight oak hint. The wine is very ‘juicy’ with a crisp acidity that I really enjoyed. Tannins were medium for me and made the wine easy to drink. This vintage is approachable young and will certainly last another 5 years. We ordered some Lamb Kebab sandwiches to go along, the match was perfect. This wine will pair well with just about any meat, grilled or roasted. 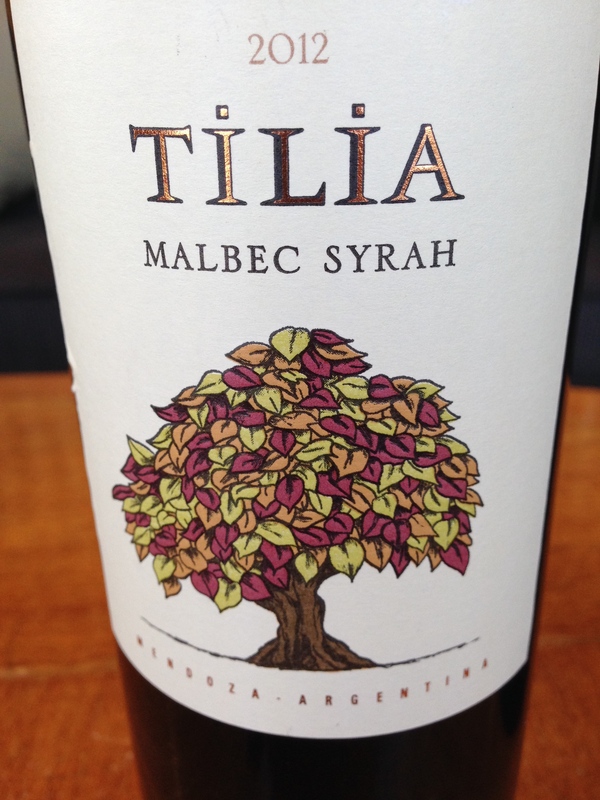 I’m going with 90 points and 4 stars for this $20 effort from Argentina. Ps. I bought several bottles and may go back for more, it’s just that good. Salut…. The label says that this is made by the Bisquertt Family Vineyard in the Colchagua valley, Argentina. It tastes so different from other Cabs in the region, almost bordeaux-like with a sense of terroir and the old world components like cassis, clove and blueberry. I thoroughly enjoyed it’s difference and character with some grilled beef and veggies. The nose of this one had blue fruits and some lavender components. The structure was built for short term enjoyment with easy tannins and basic acidity. The price? $10. A steal if you have a hankering for something different. 88 points and 4 stars for sure. This will please with grilled meats or by itself on a windy, chilly evening. Salut…. 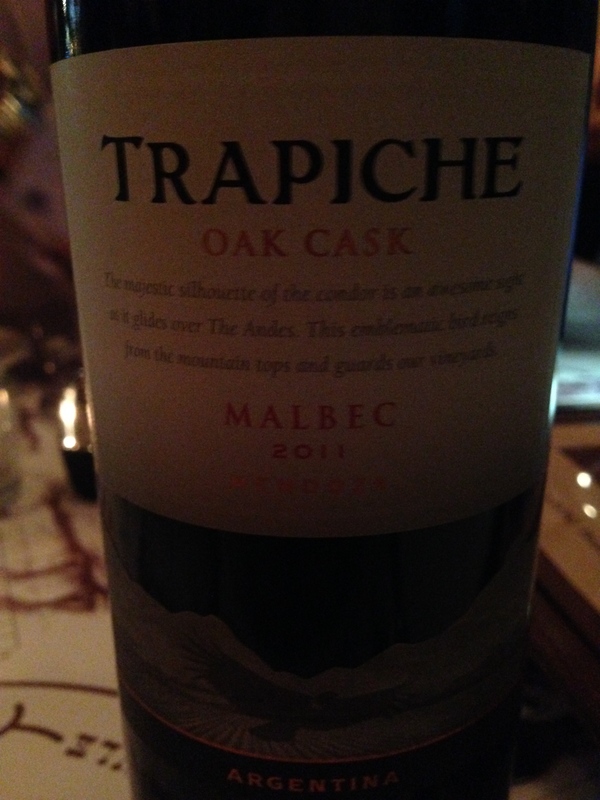 The second bottle ordered at our Argentinian dinner was this Malbec. You can’t have Argie steaks without Malbec, they go hand in hand. This one was the traditional inky purple as expected and gave off red fruits and fig compote on the nose. The palate was different, more blackcurrants and cranberry with some mintiness mixed in. 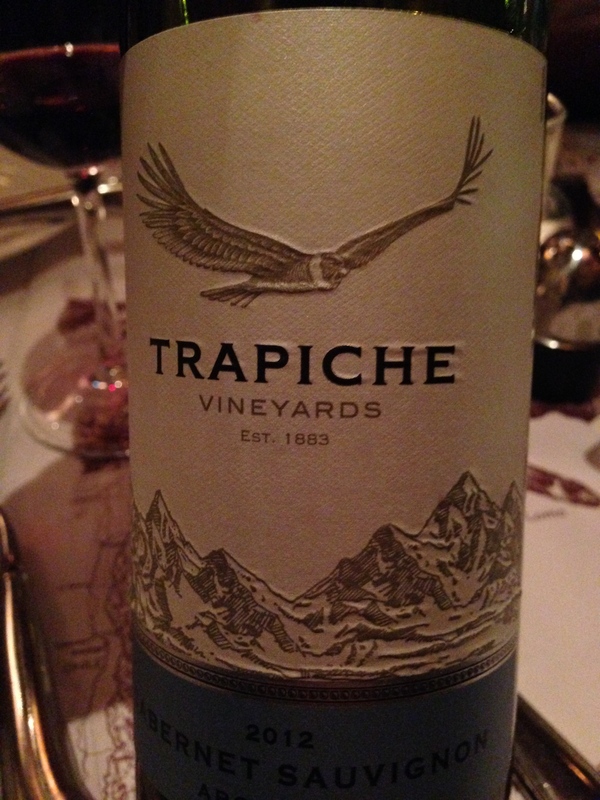 I enjoyed this wine but have had better Malbecs and would look for more tannins and better acidity. The big man himself gave it 90, I’m going with 88. $20 at retail makes this a 3 star effort for me. Salut…. 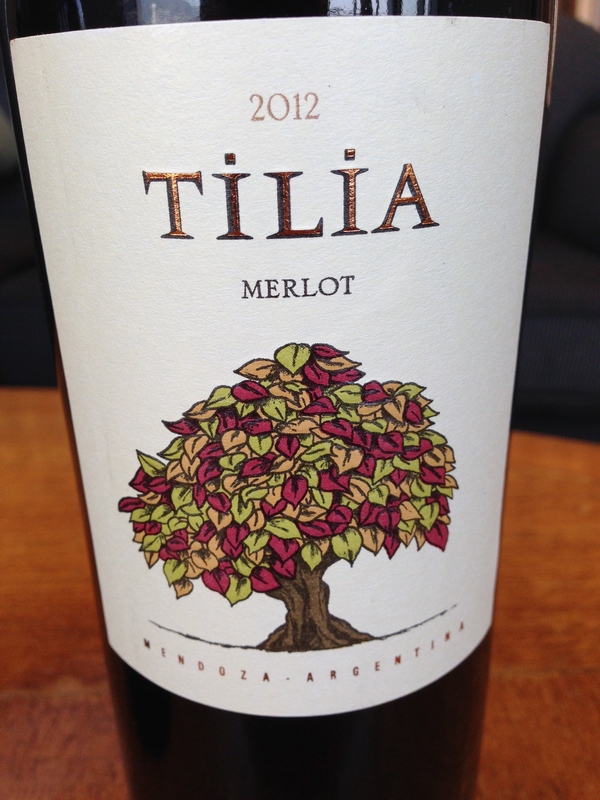 We tasted this wine next to it’s stablemate, the Tilia Merlot. For me, Malbec is supposed to be very fruity, rich and sometimes jammy. Syrah has a far greater flavor profile and draws a lot from the terroir where it is grown. The combination of the two is somewhat bedazzling. 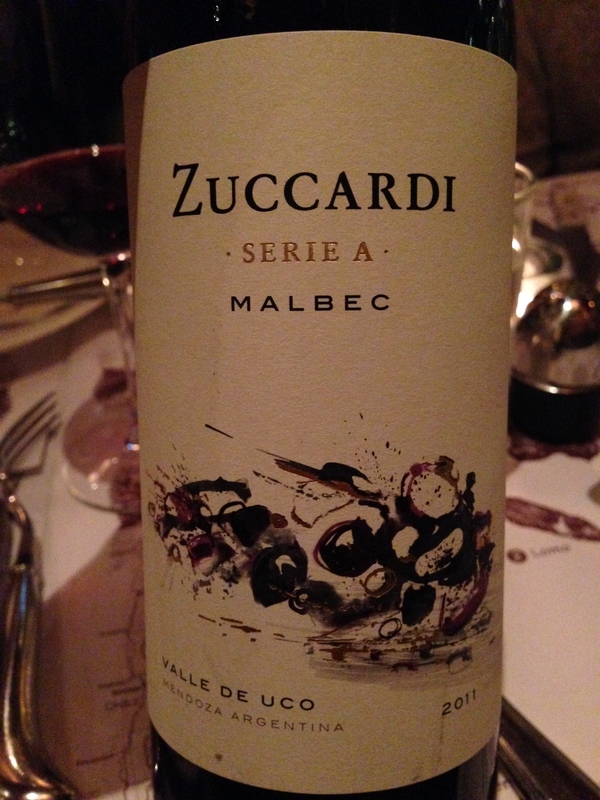 I can’t really enjoy the Malbec side, and the Syrah portion is not to my personal taste. It does however offer up some decent fruit for the measly $9 price tag. Darker purple than the Merlot, this wine had a more candied nose of red fruits. On the palate, raspberry and earth with a touch of cafe’. There was a slight sweetness to the wine, but nothing off-putting. The tannic structure is decent as is the acidity. I think I prefer my Malbec served straight up, no mixing. Syrah is a wonderful grape by itself or in company with more traditional blends. I will look for the pure Malbec from this winery to see the difference, stay tuned. 85 points and 3 stars from me for this effort. Salut…. Can you say QPR? In essence, when taking cost into account this wine is a must try. I paid $9 for it and thoroughly enjoyed it. Reminiscent of right bank Bordeaux, the Merlot was round, fleshy and tasted of plums, chocolate and red berry. A certain earthiness came though and the tannins were slight but present. I found this wine to be a great basic wine with no faults and loads to offer. We drank it pre-dinner and I reckon it would go well with pasta, steaks and pizza. Not for cellaring, buy it by the dozen in case a party erupts, everyone will love it. 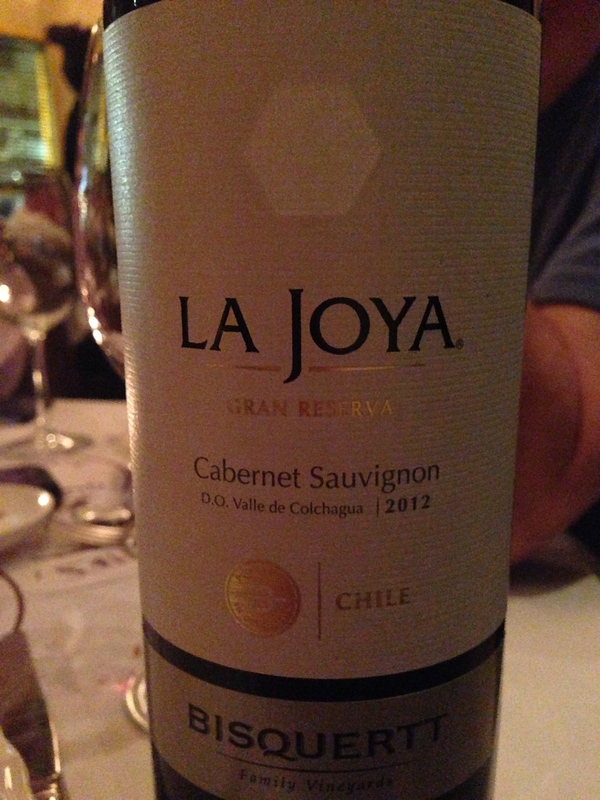 88 points and 5 stars from me for this Argentinian gem. Salut…. Cheap and cheerful for $12. This is a must-have wine for everyday drinking. 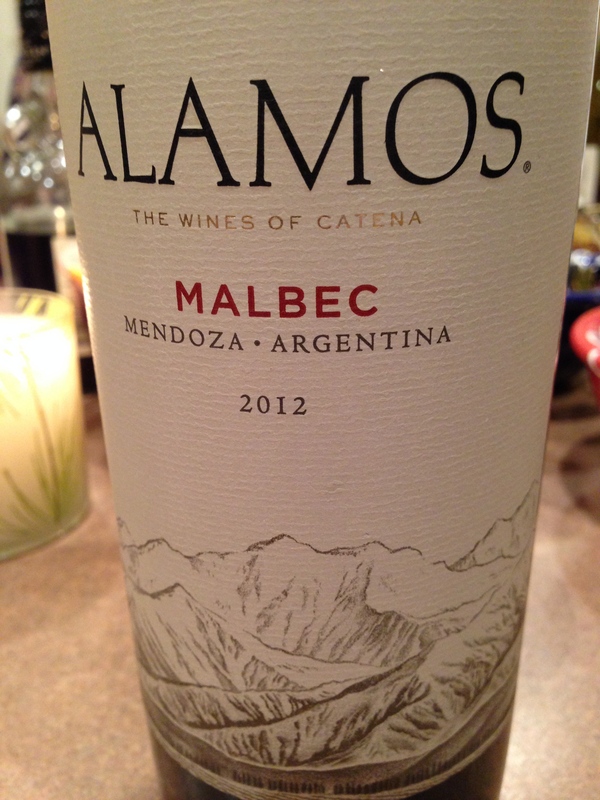 It offers juicy Malbec flavors of plums, blackberry, vanilla and it does it all in an easy to drink style. Slight tannins and juicy acidity give this a great party wine mouthfeel. It handles pasta, burgers, steaks and just plain old pre-dinner drinking really well. This winery is consistent and the wine can be found everywhere. I am a fan and think it’s a respectable 87 point wine worthy of 4 stars. Salut….